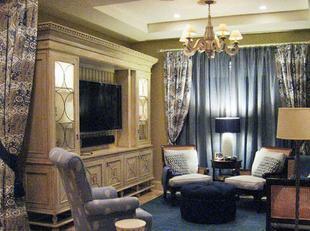 ​​Custom made built-in Entertainment Centers add incredible function, organization and beauty to any home or condo. At James Anderson LLC each piece of custom made furniture is made individually, to order, by hand and especially for you. Home electronics keep evolving at an incredible pace. Flat screen TV's are getting larger and now curved and It is hard to keep up with all of the gadgets and cords, components and remotes. Life can be so much simpler with good organization. This begins with a place to put everything out of the way, yet easy to find. A custom made built-in home entertainment center TV audio video cabinet is the perfect way to both express your lifestyle as well as add function and beauty to any room. James Anderson is a master craftsman with over 30 years of hands-on experience who welcomes the challenge of creating the perfect custom built Home Entertainment Center cabinet or custom made Media/TV cabinet for all your needs. 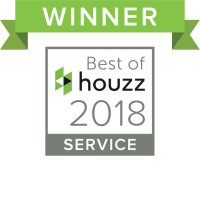 We are designers and woodworking specialists with the unique ability to offer our clients built-in cabinets in exactly what they want and need with unsurpassed quality at a fair price. 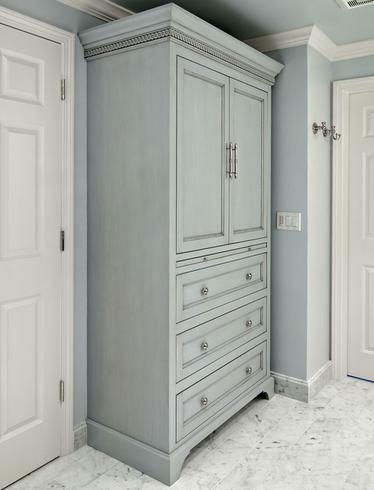 A built-in dresser cabinet or custom made Armorer cabinet adds beauty to any room. 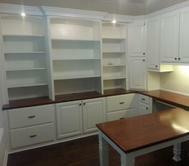 Custom made home office cabinetry and custom made desks are designed to fit your specific needs. Our projects can be found throughout the Sarasota areas including Venice, Longboat Key, Siesta Key, Lakewood Ranch, Osprey, Nokomis, Englewood, Casey Key, Bradenton, Anna Maria Island, Port Charlotte, Punta Gorda, North Port, Florida. 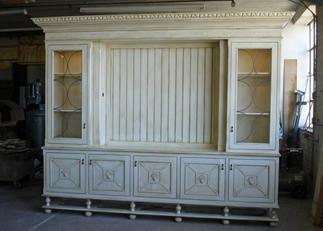 Custom made Hutch/Buffet for Dining area is also a TV cabinet & Desk. 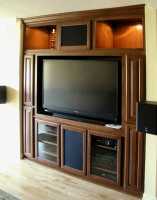 Custom made Home Entertainment Centers and built-in wall units. 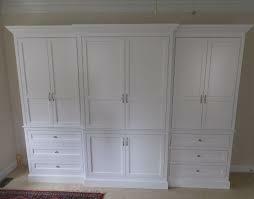 Custom made closet Armour built to fit into your existing space. Custom made home office, desk, shelving and book cases. During our initial consultation we will discuss what you envision for your custom made cabinet home entertainment center and equipment needs. We will measure your space and ensure that your custom built-in cabinet will fit the area and your specific needs perfectly. You can choose the style, design, material, hardware, shelving, doors, stain or paint, and other options. No detail will be overlooked. 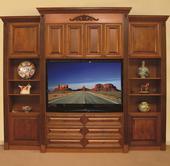 We build your custom made wall unit to hold all of your electronic components now and into the future. You can choose what areas are designed to display collectibles or showcase family pictures and which areas should be for discreet storage. 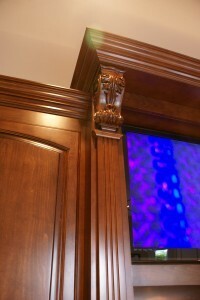 We can even integrate a "secrete door" to your custom Entertainment cabinet to hide valuables. Call or email us today to schedule a free in-home consultation. We design and custom build Home Entertainment Center cabinetry, custom home office cabinetry, Custom made desks, custom made built-in dressers, Custom made bookshelves, Audio video cabinetry, TV cabinets, Custom made Murphy beds, Custom built Armorer cabinets, Antique reproduction cabinetry, custom made bars and can build any custom made furniture to your specifications. ​We have extensive experience in cabinet design, fabrication, joinery and veneer work as well as working with many exotic real woods from around the world. We offer fully custom and semi-custom cabinet products with a wide range of options and price points to achieve exactly what you've wanted. 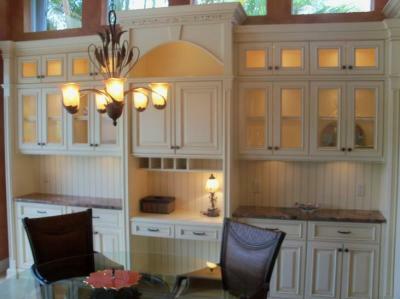 Custom made built-in cabinets in Sarasota and Venice Florida areas. 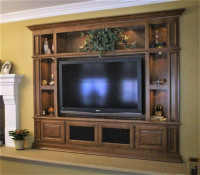 If you are in the Sarasota and Venice surrounding areas and searching for custom made media cabinets, home entertainment centers, office cabinets, home office cabinets,built-in tv cabinets,media room cabinets, custom made furniture, Cradenza's, TV cabinets, or custom furnishings, you have found the right company to serve those needs. 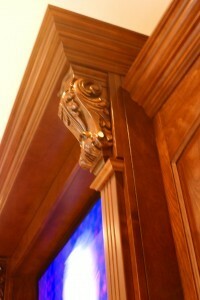 We are a state licensed company specializing in custom cabinetry and complete home and condo remodeling. Custom made home entertainment media cabinetry is designed specifically to fit your flat screen TV as well as all the components. Your custom built-in cabinetry may also require construction and alterations to the existing room. This could entail modifications to existing walls, floors and ceilings or relocating electrical receptacles or switches. 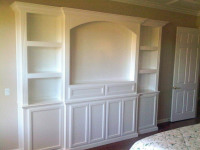 We have extensive experience in custom built-in cabinetry as well as the design, construction and installation process. Project cabinet materials are chosen by the client to compliment existing room furnishings, or custom color paint & glaze, or stain & glaze. Exotic wood species can be chosen from select grades including: mahogany, alder, maple, cherry, walnut, poplar, hickory, ash, beech, birch, yellow pine, amendoin, Kempas, Tigerwood, teak, Timborana, chestnut, rosewood, merbau and bamboo. Modern and contemporary finishes can be acrylics, Thermofoil, or painted. Glass doors can be used to display artwork and knicknacks. The design possibilities are only limited by immagination. Call James Anderson today to discuss your project. Thank you for visiting our website and we look forward to building your dreams. 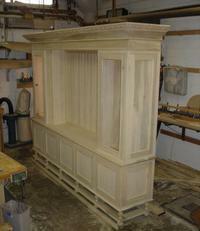 Getting started on your custom-made cabinetry is easy. Simply call or email James Anderson direct. We look forward to hearing from you! 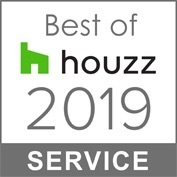 ​James Anderson has been Awarded "Best of Houzz" five years in a row for exceptional client satisfaction in woodworking and remodeling services the Sarasota & Venice Areas.